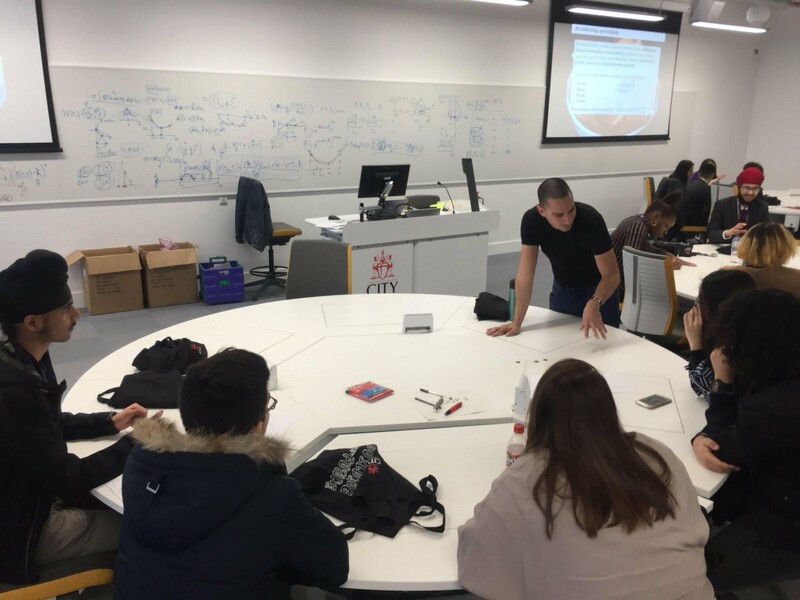 In March 2018, Stephann ran a 'masterclass' on 'serendipity by design' to London college students who were considering studying a degree in Computer Science. All attendees had experienced some level of educational disadvantage during their schooling (first in family to higher education, refugee status, disability, in care or a care giver etc.) and so are underrepresented at university level. "I was delighted to take part in this event, where Year 12 and 13 pupils from a mix of schools and backgrounds worked together to apply research ideas from a mini-lecture on 'serendipity by design' into the the design of a novel mobile app prototoype. They shared some brilliant app ideas for connecting people, places and information in unexpected ways. There's nothing academics want more than to enthuse the next-generation of students. I could see that this session ignited a passion for Computer Science among several pupils and I hope they'll consider City, University of London as their top choice when applying to study it at university. I felt energised by the excitement in the room and I hope the pupils enjoyed this taster of university teaching as much as I did."